You know that moment when you fall over whilst running for a bus or dashing to the newsagents and lots of people see you do it so you try to pretend you did it on purpose and just carry on even though you’ve broken your ankle? Well I did something similar this week. I made a bit of an arse of myself on my bike, but I’ve thought of a way of making it look like I did it on purpose. I suppose I should ‘fess up to the nature of the mistake first; I took my Harley Street Bob for the short blast to work across town. The route takes me past the shop where I bought it - Warrs just off London’s Kings Road - and I noticed as I approached the shop window that all the guys were already there, even though it was early in the morning. They probably have to get in first thing to polish all the chrome and stitch the tassles on saddlebags and stuff. Anyway, I thought I’d give them a cheery wave as I rumbled past the window, so I did. A couple of the chaps spotted me, waved back in that Harley way and started pulling faces. I thought they were having a laugh, pulled a face back at them and then turned to the front again. 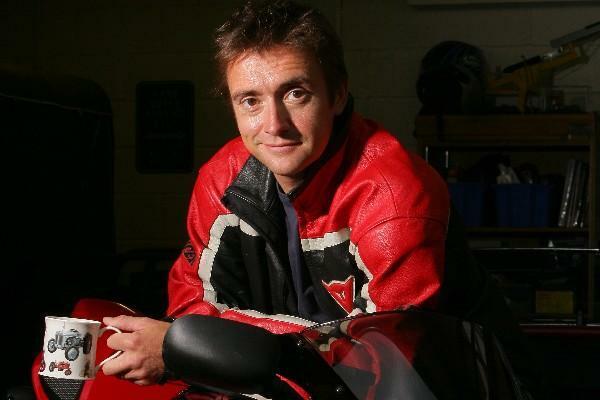 Read Richard Hammond’s full column in this week’s MCN, available to buy from Wednesday, January 31, 2007. Where have all the chickens gone Rossi?